If you always do what you’ve always done, you will always get what you’ve always got – sound familiar? Many people have laid claim to this quote including Anthony Robbins and before him Albert Einstein, Henry Ford, and even Mark Twain. Regardless, what matters is the point it makes. If you want to change the end result, you need to change the way you do things. Think of this in the context of setting goals or achieving success. If you do not set goals for yourself, your work or business, you probably meander through life believing the outcomes of your actions are your destiny. For some they achieve success and have no regrets. More often than not, people look back and wish they had made a different decision. Businesses frequently fail to embrace a culture of change and innovation. This culture instils stagnation and can attract employees who are not inspired to be innovative or willing to move forward. Businesses will lose innovative employees if they are unable to support new ideas and they can easily get left behind the competition, particularly in tough times. When business owners, managers and individuals alike to embrace life-long learning, they remain open to new opportunities, new methods of doing business and the successes that can follow. Learning and implementing something new can be challenging and may take longer than the “old” way, but if implemented for the right reasons with a clear plan and good supports, any hurdles can be overcome. So, take the time to plan. Ninety percent of your time and effort should be applied to the planning stages and ten percent to implementation. Create a vision of what change initiative is needed and set measurable goals and realistic timelines. Establish the steps/tasks that need to be taken, identify who will do each task, how the steps/tasks will be communicated with everyone who will be affected and how progress will be monitored and alternations made. Communicate frequently and be prepared to listen… new ideas and solutions can be borne from feedback as this feedback will increase “buy-in” and enhance the projects success. If you don’t have time to manage the entire process on your own, don’t hesitate to enlist some help. Work with a business coach who is dedicated to ensuring your success and will help keep you focused and provide perspective throughout the whole process. 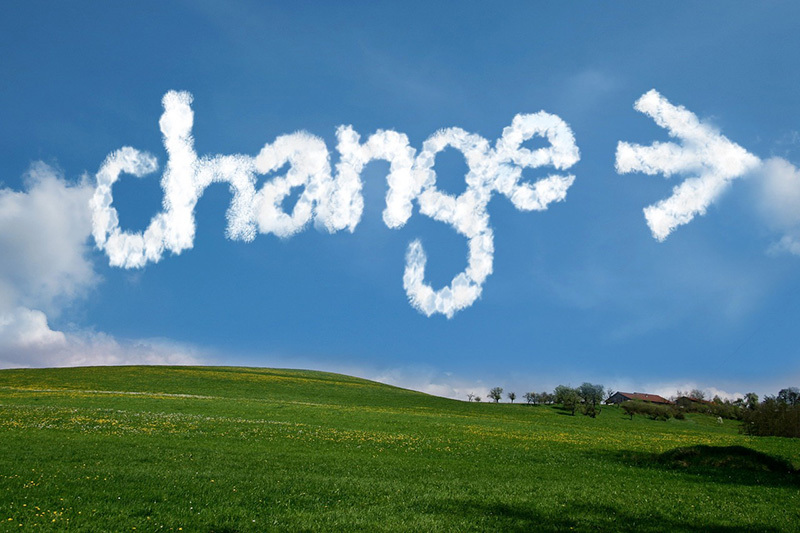 Embrace change, set your goals, take the time to plan, communicate frequently during the change initiative process, welcome feedback and adjust your plan when necessary as you move forward and enjoy your success! What have you got to lose? Other than the old way, which did not work anyway!